When you're motivated by the challenge of getting in shape, nothing will stand in the way of your goal. 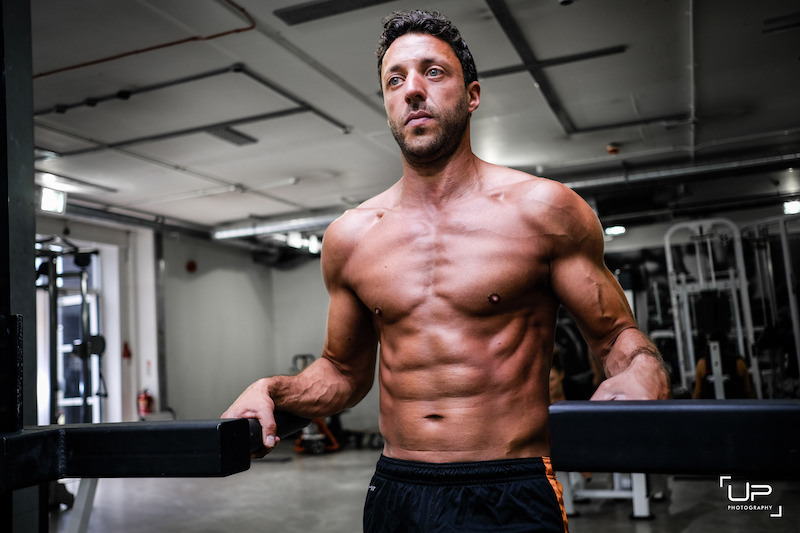 Manchester solicitor Marc wanted to shake off the 'skinny fat' body that had crept up on him during his 30s and finally get the body he wanted. But he also had the goal of getting fit and strong again to represent Great Britain's football team in the Maccabiah Games. 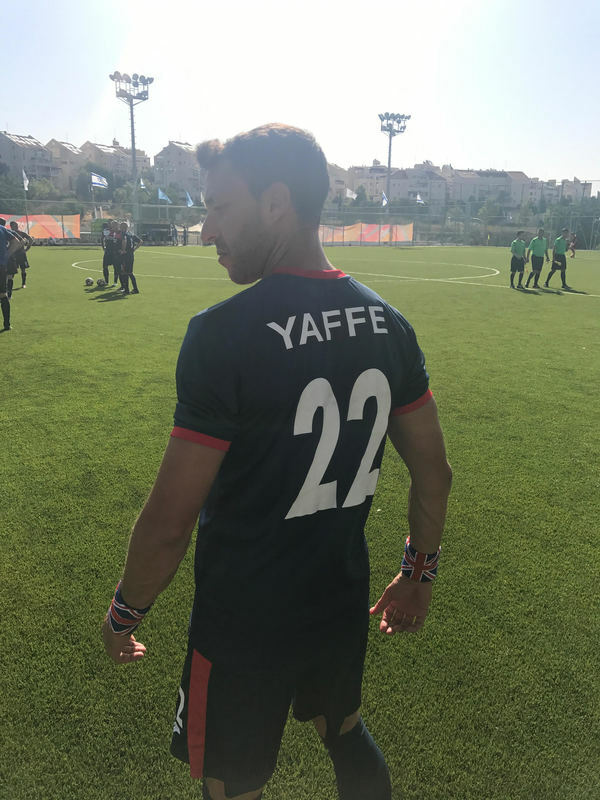 Despite a hamstring injury two weeks in, Marc achieved both goals, forging an incredible physique and getting in the shape of his life to play in the football tournament in Israel. Marc says he's stronger, fitter and leaner than ever. But it's not just physical strength, his mental strength has improved too and he feels more alert and energised every day. 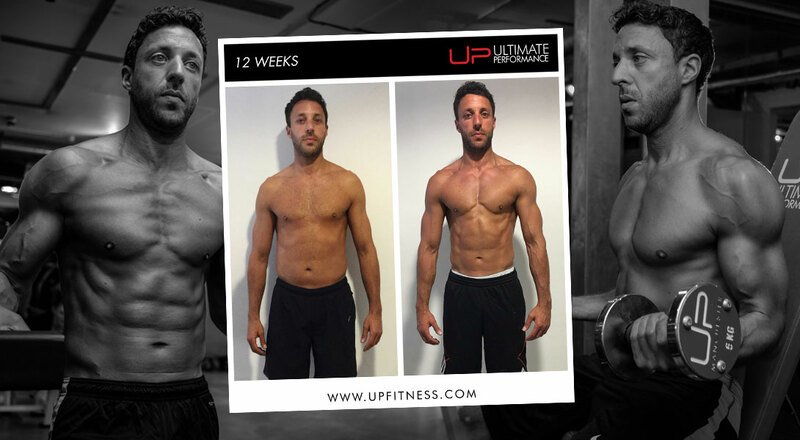 The powerful combination of his new diet and bespoke training plan has revolutionised the way he looks and feels. "I've never looked anywhere near as good and never felt so energised," he says. "UP has given me an insight into just what can be achieved if I put my mind to it. It has given me the confidence to believe that I can be bigger, better and stronger." My gym routine had become stale, and working in an office job, I started to eat more unhealthily the less I went to the gym. 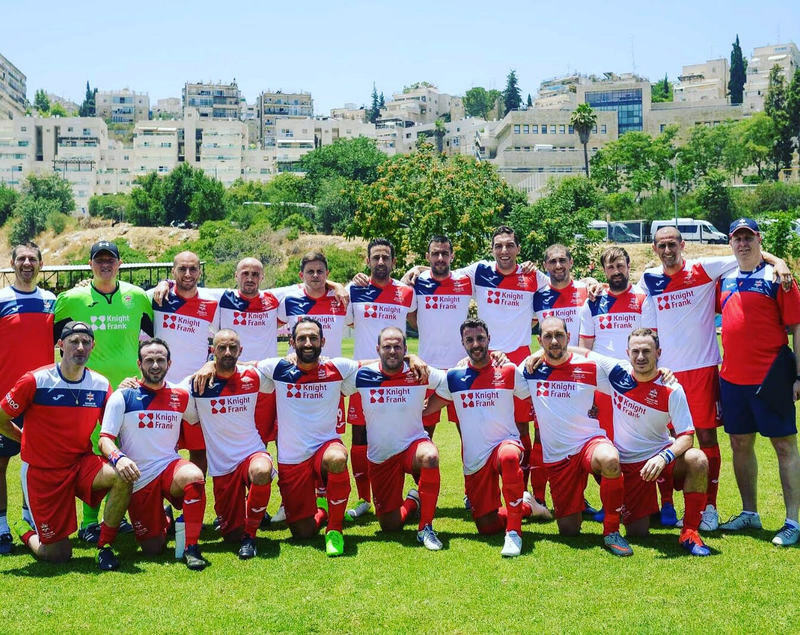 This was happening at just the wrong time because, I had been selected to represent Great Britain at football at the Maccabiah Games in Israel, the third largest sporting event in the world! I was in desperate need of a programme that would get me in great shape for the tournament, lift my physically and mentally, and give me a focus and drive to improve. 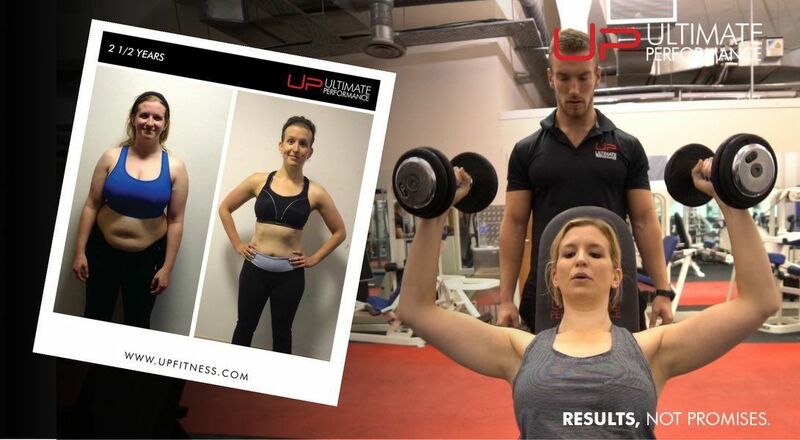 With 15 weeks to go before the tournament, I found UP Fitness. I was bored of my old gym regime, I hadn’t seen any real progress despite going to the gym regularly for months and months and I needed something new that would take over my world. I had just a few weeks to get into shape. Although I was generally healthy, I would spend all day sat at a desk or in meetings, and tended not to eat correctly, grabbing a quick sandwich between meetings. To compound matters, my job requires me to entertain clients and contacts in the evenings. This means that I am often in bars or restaurants during the week, and my diet was undoubtedly suffering because of my food and alcohol intake. The first thing that changed was my mind-set. As soon as I arrived at UP, I realised that I had to give it my all in order to see the benefits. The whole atmosphere at UP is designed to make you feel welcome, appreciated, but more than that, to help achieve the goals set. It is an extremely positive but focussed environment, and whenever I walked into the gym, I realised that I was there to work hard. 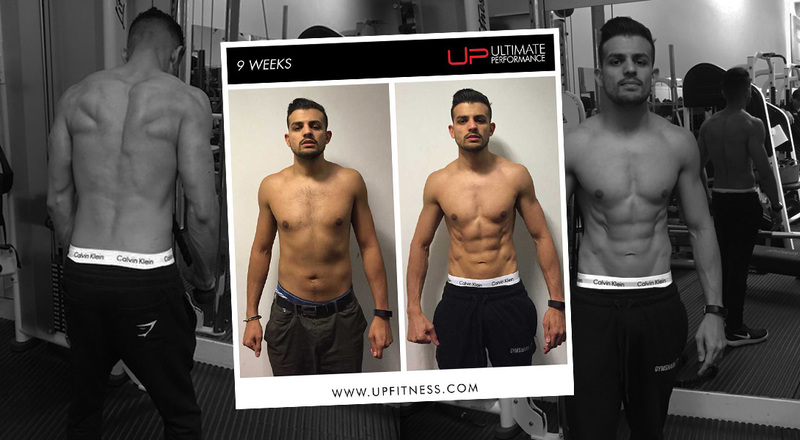 The first two weeks were incredibly difficult as my body was shocked into action, but after that, I loved every minute of the 12-week experience. I learnt quickly that I could still run my business life with the same success, but this time, I was choosing wisely from menus and staying away from alcohol as much as possible. The first thing I noticed was that I woke up in the morning feeling energised and ready for the day ahead. I slept much better and I found that I had much more energy even though I was working so relentlessly in the gym. I realised that eating the right food whilst training hard can be an extremely powerful combination, not just in terms of my physical gains, but mentally too. I felt much more alert, responsive, and was almost instantly riding on the crest of a wave. My training suffered a setback in week 2 because I tore my hamstring during a football match, and this meant that I couldn’t do any lower body exercises and had to endure 4-6 weeks of intense physio. However, and undeterred, my PT re-organised my training regime to cater for this, and he assured me that I would still be able to get the best possible experience from UP. His confidence in his own ability to get me into shape gave me that extra determination to reach my goals, and his support during my recovery was unwavering. I think my trainer's attitude towards me spurred me on even more and made me more determined to work harder. For anyone that knows me, they will know that I have always been skinny. I have been the same weight for 20 years, but immediately before I started at UP, I had begun to fill out around my stomach. If you look at my “before” photos you’ll see that quite clearly. My fiancée called it being “skinny fat” and with those comments ringing in my ears, I was determined to get lean, and vastly reduce my body fat ratio. 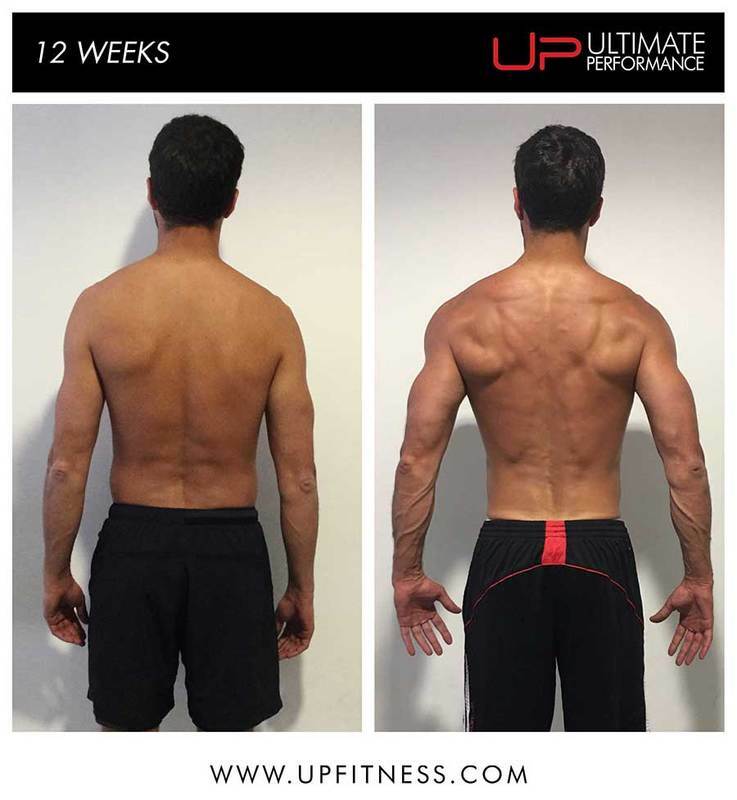 The pictures at the end of the 12 weeks speak for themselves. I have never been in such good shape, and never looked anywhere near as good and never felt so energised. It was the perfect platform for the Maccabiah Games, as I left for Israel just four days after I finished the course. I learnt that in order to transform your body, you have to make sacrifices, and you have to really want to achieve the goals set. You can’t transform your body by being half-hearted, or by simply turning up to the gym three times a week. You have to eat clean, look after your body on rest days, and work extremely hard during every single session. What I also learnt is that if you do that, you will love the experience, and love the results even more. I am not afraid to admit that I began to love comparing my photos every week to those before I started, because seeing the progression gave me the desire to achieve more. When I returned from the football tournament, I was having withdrawal symptoms and so I have decided to continue training with UP to see if I can get to the next level. The transformation changed the way I feel, the way I want to feel and has taught me that anyone can change their body if they put their mind to it. 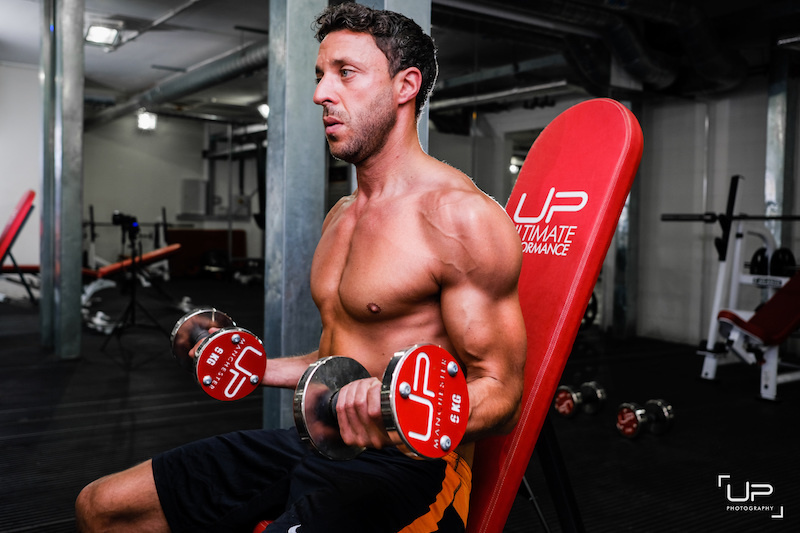 Historically, I was always nervous going into the gym, but at UP it felt like everyone there was working towards the same goal, and whether it was my PT or any of the other staff, they always asked me how I was feeling, whether they could do anything to help, or whether they could offer any advice. I felt like the whole team there were working to help me achieve my goals. 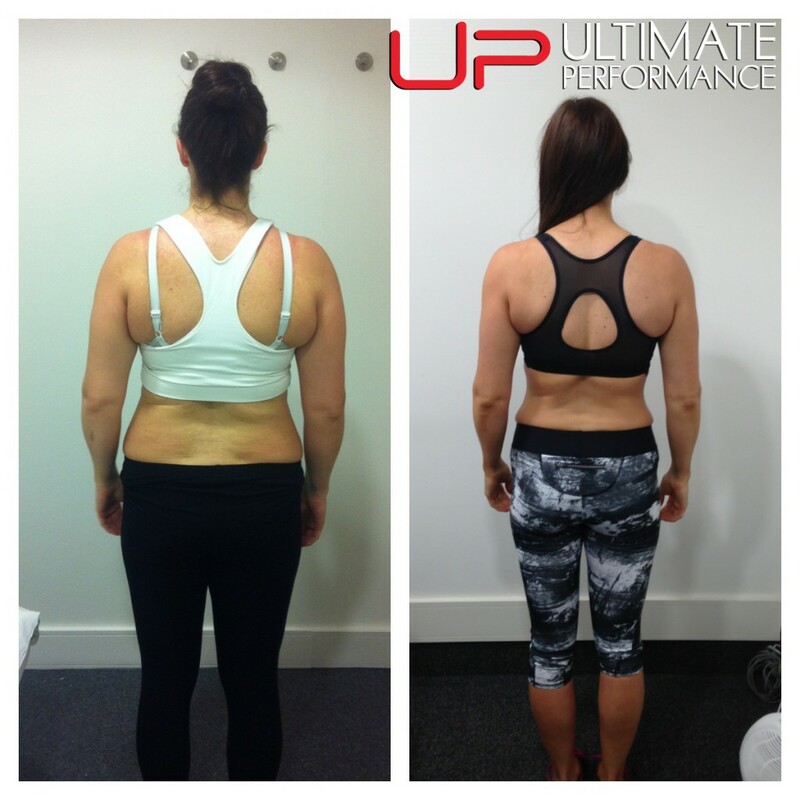 What’s more, whilst the PT’s are in incredible shape themselves, they were only ever interested in me, their client. Quite simply, there is nothing like it. The programmes are designed to ensure that you reach your goal within the 12-week period. Put simply, follow their food guide, listen to your PT, work hard during sessions and you will hit your goal. I would recommend UP to anyone who wants to improve themselves physically, mentally, or for anyone who has a specific goal in mind and is unsure how to make sure they reach it. 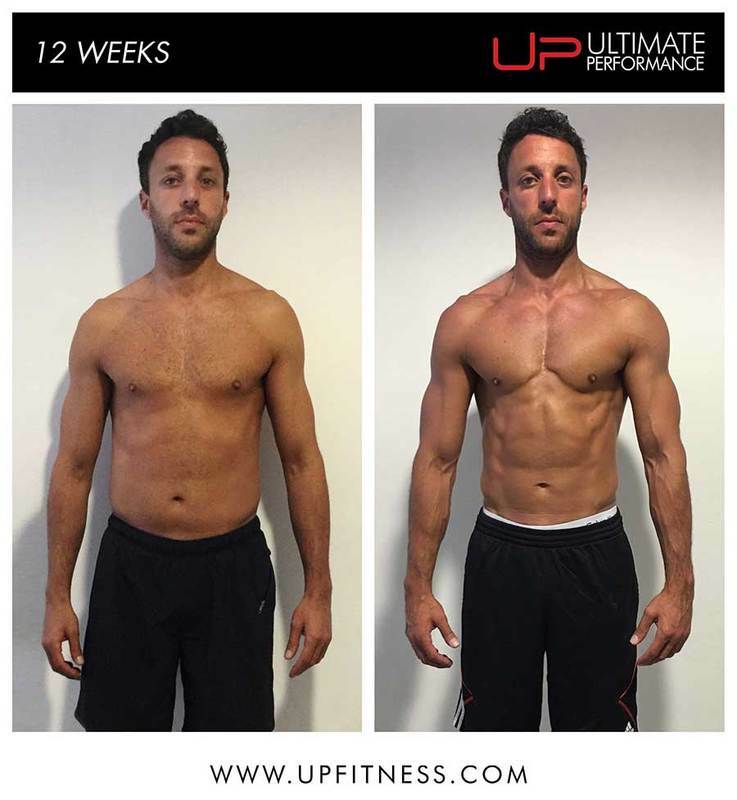 The PT’s at UP only benefit if you hit your goal, so unlike other PT’s who benefit from you not hitting your goal for a long period of time (as that means you will book more training sessions), the PT’s at UP only have 12 weeks to get you in perfect shape. They care about your transformation as much as you do, and that creates a very powerful combination for successful results.